Product prices and availability are accurate as of 2019-04-19 04:16:11 EDT and are subject to change. Any price and availability information displayed on http://www.amazon.com/ at the time of purchase will apply to the purchase of this product. 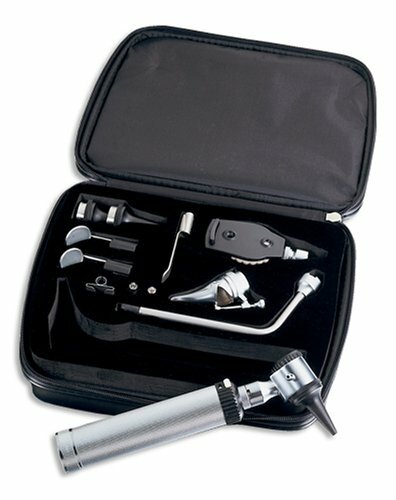 Complete diagnostic set with 5 different instrument heads, all accessories and 2.5v power supply. Includes otoscope, ophthalmoscope, bent arm illuminator, nasal speculum, and tongue depressors and adapters. 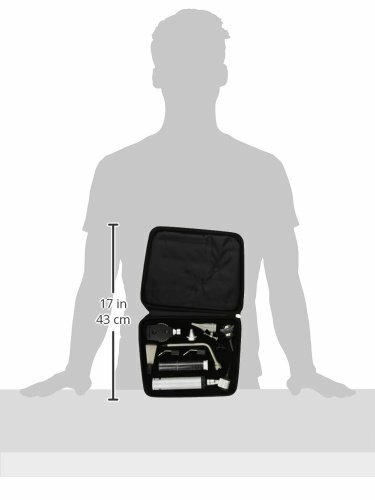 Fitted carry case.